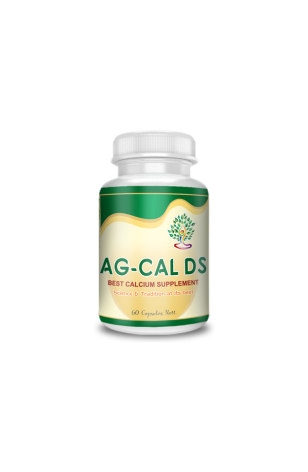 AG-Cal is the ayurvedic way to boosted up pure natural calcium. Maintaining the density and strength of the bones, this special herbal product provides calcium naturally. Praval Pishti (coral calcium) - Growing children, adolescents and post-menopausal women need more calcium. It provides natural calcium and vitamin C for the development and maintenance of healthy bones, teeth and cell membrane. Mukta Sukta Pishti - It is used in Ayurvedic treatment for all type of bone and joints problems. Jahar Mohra Pishti - Jahar Mohra Pishti is also useful for teeth, muscles and bones as it is a rich source of calcium. It provides strength to all these thereby keeping them in good and proper working order. Shank Bhasam - It easily absorbs and compensates the calcium requirement of the body. It relieves the body from the condition of calcium deficiency without any side effect like constipation and acid formation in stomach. Kukutandtvak - It is useful to improve bone density, since it is a good source of calcium. Hence - Used in arthritis, osteoporosis etc. Kapadia Bhasam - It is used in the treatment of digestive impairment, malabsorption syndrome and all types of connective tissue problems. Mandoor Bhasam - It is used in treatment of anemia, jaundice, anorexia, inflammatory conditions and injuries. It improves strength and immunity and it acts as natural iron producing bhasam. Godanti Bhasam - It also works its way in building good immunity. Amla (Emblica Officinalis) - Amla is excellent for strengthening bones not just because of its high calcium content, but also for the fact that it lowers osteoclasts. These are the cells responsible for breaking up bones. Thus regularly consuming Amla will result in stronger bones. South (Zingiber Officinale) - Ginger is very useful in enhancing immune function. Comparing the ability of ginger to kill staphylococcus aureus and streptococcus pyogenes with conventional antibiotics is very common. Therefore it is used as an herbal healer. Mirch (Piper nigrum) - It is used to strengthen the bone system of the body and also imparts the immunity to the body. Pipal (Piper longum) - It is very helpful for teeth and its enamel. The new root of pipal tree is very fruitful for teeth.